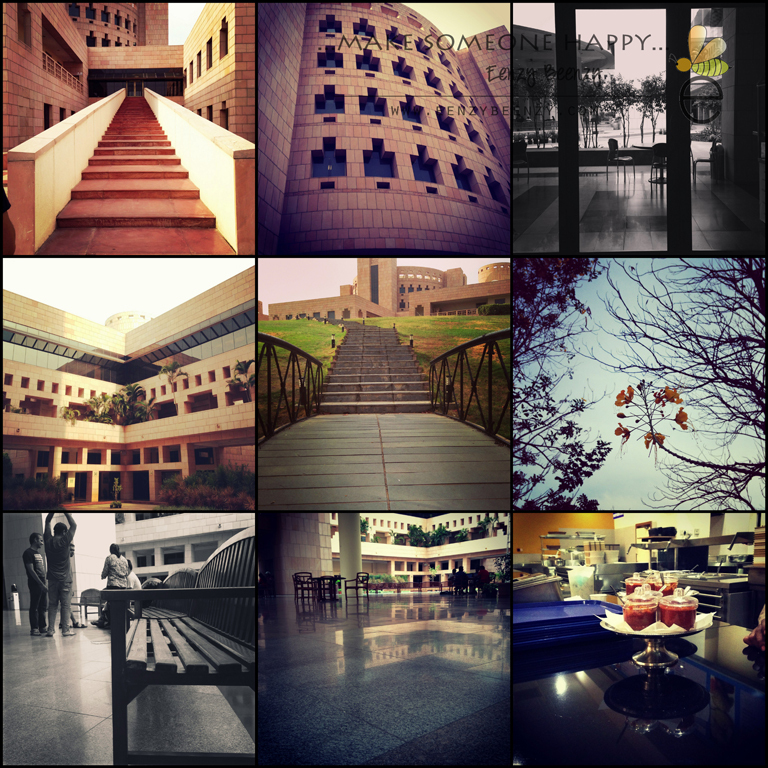 It has been 2 weeks at ISB, Hyderabad. And Life seems to be like a roller coaster ride - fast and bumpy and enjoyable. The campus is a very pretty place to live in - the lush green surroundings makes everything look very fresh. The friends I have made are amazing, each one I meet has a very awesome story to share. I cant thank God enough for giving us this opportunity to be in such a lovely place surrounded by a lovely bunch of people! 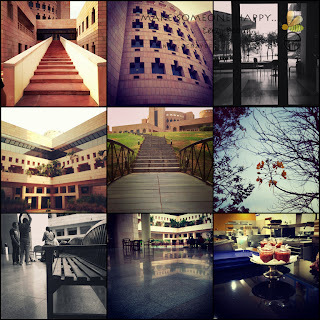 Here is a glimpse of the campus - I did these pics with my cell phone yesterday. And here is the card I made for a friend here - I absolutely loved making this. I was really short of ideas coz I havent really unpacked my craft basket but I think it came out really nice. beautiful pictures, and lovely card, love it !!! The card is very neat and pretty! Love it!